“ Nines is no longer Rugby League’s best kept secret” declared event promoter Graham Oliphant. In a major breakthrough, the London9s gets even bigger in 2019, with the announcement that the London9s are LIVE STREAMING the action from the tournament, with FREE ACCESS, via their broadcasting partner CKM Red 288. With an anticipated 50,000+ viewers over the course of the day, this offers a new dimension for Brand Placement to sponsors, as well as the opportunity to share the event with a Global audience. The London9s attracts amateur international teams with the debut of nations such as Lithuania, the return of community clubs from all over the UK, as well as teams from Africa, Europe and North America. The London9s now also features as the culmination of the ‘London League Weekend’, preceded the day before, by The Challenge Cup Final. Now thanks to this partnership with CKM Red 288, you will be able to see international and UK teams do battle from anywhere in the world. Full viewing details and access to the live stream will be made available nearer to the event. We are delighted to announce our latest Partnership with CoachHire.com, providing return coach hire for teams across the UK & Europe. CoachHire.com work with organisations and individuals across the Corporate and Leisure sectors to deliver high-quality services and exceed customers’ expectations. They are Transport specialists with a proven record in delivering and managing transport for high-profile events, such as Bournemouth 7s, Glastonbury, Creamfields & Reading Festival. CoachHire.com have supported over 60,000 group transport enquiries a year, helping individuals plan for and travel to family events, sports trips and festivals, working with over 500 Supply Partners across the UK and overseas. Their extensive network of depots ensures they can deliver great value for their customers even during periods of peak demand. We are delighted to announce a partnership between London 9s Rugby Festival and the Rugby League World Cup 2021. “It’s a pleasure to support the London9s (LDN9s): The largest Rugby9s festival in Europe. We look forward to supporting the organisers efforts to attract more overseas rugby league teams and fans to London. London is critically important to RLWC2021 with the staging of a men’s World Cup semi-final at the Emirates, Arsenal and England’s group of the wheelchair tournament being held at the Copper Box Arena. “This is a huge step forward in our strategy to develop the London9s and propagate a connected and cohesive Nines Circuit. 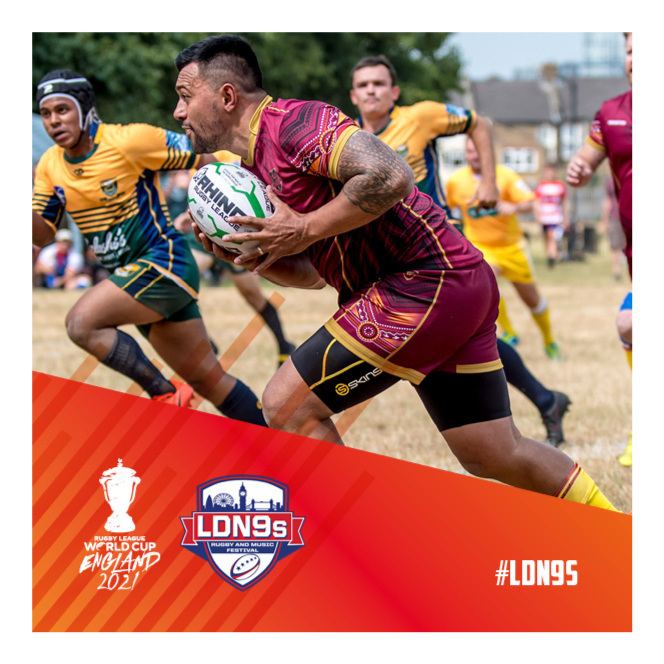 The 2019 LDN9s will see amateur teams from over 12 different nations, represented in this one day festival, and the opportunity to enjoy a weekend of rugby league activity in London. We are also creating a great platform for emerging nations to demonstrate their skills on an international stage, and in the process make themselves visible for sponsorship. 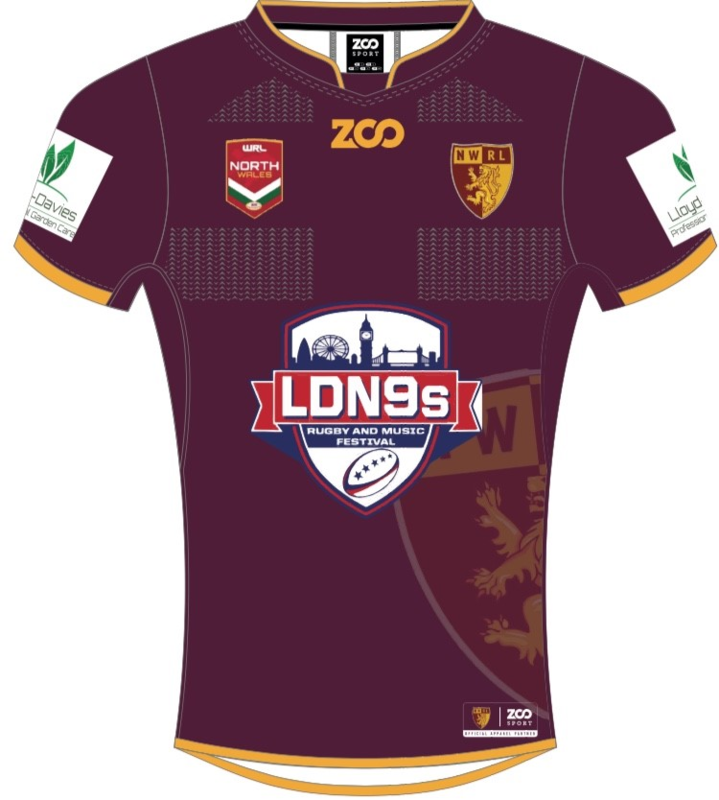 The award winning London9s recently partnered with the Carolina9s, thus creating avenues for teams and fans to travel from North America to take part. We will also be creating reciprocal opportunities for UK and European teams who enter the LDN9s. Moving forward, we are excited to be working with the RLWC2021 team to showcase London as the epicentre for attracting teams and fans to England in 2021. North Wales Origin are delighted to announce London9s Rugby Festival as our main sponsors for 2019. London9s Festival is Europe’s biggest and best rugby 9s Festival! NWORL will be looking to work very closely with LDN9s to establish a strong and sustainable relationship in the coming years. Graham Oliphant - LDN9s founder commented “The opportunity to become main shirt sponsor for the North Wales Origin team for 2019 is an absolute pleasure and we look forward to hosting amateur rugby teams from Wales to join us at the London9s, this August. The London9s is the largest Rugby9s Festival in Europe and we will have teams representing over 12 different Nations, playing over 100 games of Rugby, in one amazing day! Come and support the boys on Sunday 25 August as they fly the flag! In what sporting history will judge as the beginning of a World Series Rugby League Nines circuit, rugby has won where politics faltered in a trade deal formed between the UK and US. The largest Rugby Nines festival in Europe, the award-winning London Nines (LDN9s) on August 25, has formally agreed a partnership with the USA-based Carolina Nines (Carolina9s), to be staged on Memorial Weekend, May 24 to 27. This creates a trans-Atlantic dimension to participant-focused Rugby Nines festivals and a revolutionary step toward establishing Nines as a global entity. “There are now exciting opportunities for adult rugby players and fans to enjoy Nines rugby and music festivals in both North America and the UK,” said London Nines promoter Graham Oliphant. The London Nines, run for the first time in 2018, will this year form a pillar in an innovative rugby league weekend in London with fans able to purchase a single ticket providing them with entry to Oliphant’s East London Rugby Club extravaganza, London Skolars’ popular Friday Night Lights promotion and the iconic Challenge Cup final at Wembley. The Carolina Nines are in their first year. The venue will be Saluda Shoals Park in Irmo, South Carolina, with promoter Andy Lucas hellbent on as much diversity as possible. Men's and women's events will be complemented by college, high school, flag rugby, wheelchair and physical disability matches. Oliphant and Lucas have shared resources in the hope that others will join them in creating a circuit where sponsorship, media, travel and community integration opportunities can be maximised as it has in many other international sports. 3- Likewise teams from the LDN9s will be encouraged to attend the annual Carolinas festival, and represent their respective countries across the pond. We are delighted to announce that we have renewed our partnership with Rugby League Around The Grounds. RLATG is a Rugby League publication that encourages the growth and expansion of the sport. This made working with the London9s a very easy decision for us as this is a great opportunity for clubs from all over the world at Grassroots level to come to one of Europe's biggest cities in front of a huge crowd and show the great work being done by their respective clubs. “RLATG are proud to announce the renewal of our partnership with the London 9s, Europe's largest Rugby 9s event. The London 9s returns again in 2019 with one weekend featuring 100 games, 36 teams across 6 pitches, 3 bars and 1 amazing party. We'll be supporting with the promotion of the event and bringing you exclusive content from some teams that will journey from the other side of the world to take part!” Says Matt Wright. We are so excited to have these teams ready to join us at London 9s Rugby Festival on Sunday 25th August 2019 at East London RFC as part of the huge London League Weekend. To enter a team - please click here. 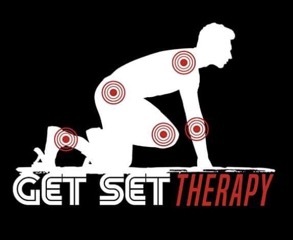 We are delighted to welcome back Get Set Therapy as an Official Partner of the London 9s Rugby Festival 2019. Get Set Therapy specialise in Clinical Sports Therapy Sports therapists for events and teams. We are delighted to announce that Fill Your Boots will be returning as an Official Partner of the London 9s Rugby Festival. Fill Your Boots are The Grassroots Rugby Player Exchange helping Rugby clubs from all over the world and both codes, find those extra players in order to make Rugby matches happen using the power of social media. We are delighted to announced that Grassroots Multi-Sport will be returning as “Official Media Partner” of the London 9s Rugby Festival. Previously known as Grassroots Rugby Media, Grassroots Multi-Sport (GRM SPORT) is a multi-media online platform created to showcase grassroots sporting talent. London 9s Founder Graham Oliphant welcomes this announcement “Fantastic to have Grassroots Multi-Sport on board again as a solid partner with LDN9S 2019. Shawn and GRMSport display the same entrepreneurial drive and passion for Rugby, which LDN9S embodies an ideal team up for the largest Rugby9s Festival in Europe! So ‘grassroots’ teams and fans can enjoy a whole weekend of Rugby in London, capped off with the annual LDN9S. London 9s Rugby Festival is Back for 2019!